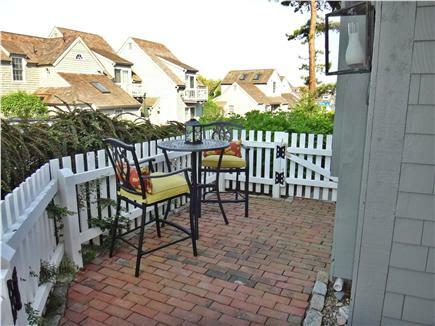 Enjoy front patio for morning coffee! 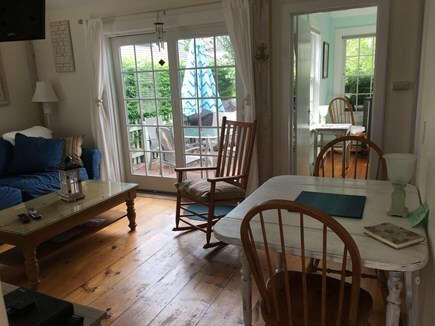 Open living space with dining area. Bright Open-living space with Queen sleeper. View from Kitchen -with dishwasher, washer and dryer! 1st floor Queen Master with 2 windows for air flow. 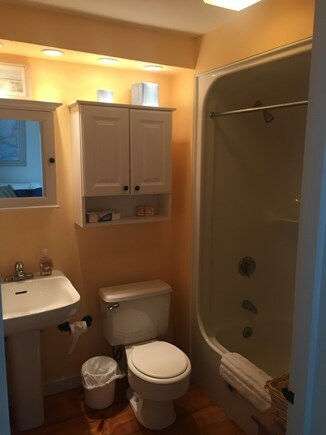 First floor bathroom with shower/tub combination. 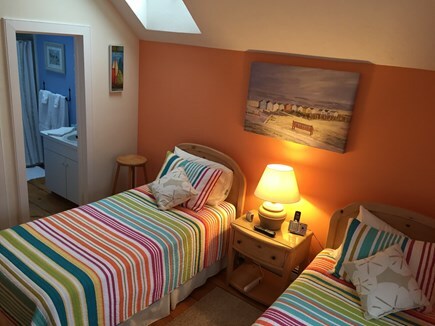 2nd floor has 2 twin beds, flat screen tv and Skylight too! 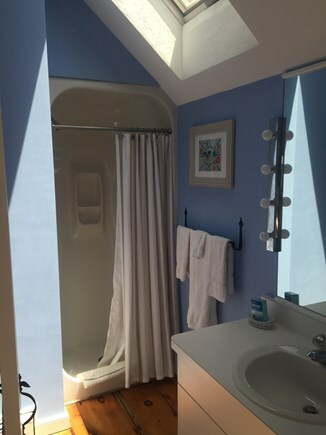 2nd floor bathroom with shower and skylight. 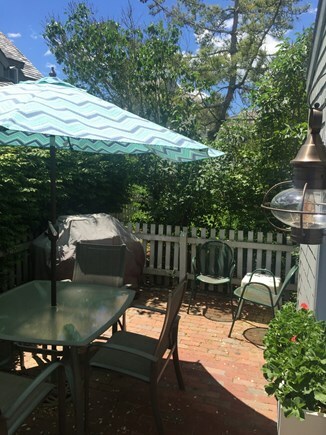 Relax on the private patio with a Weber grill. 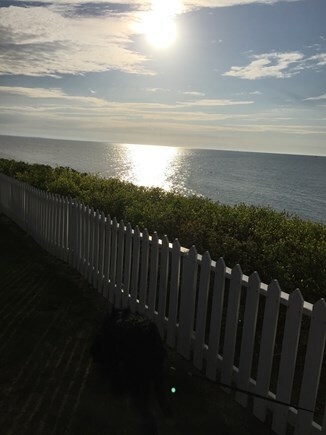 Ahhhhh late afternoon looking out to private beach. 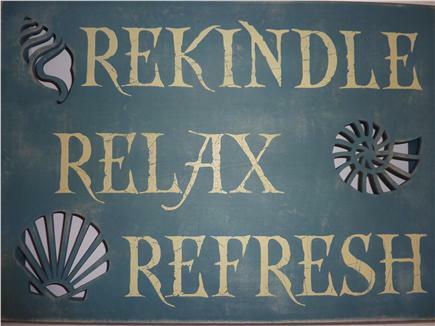 Leave the stress of ''the real world'' and enjoy the aaahhhh! 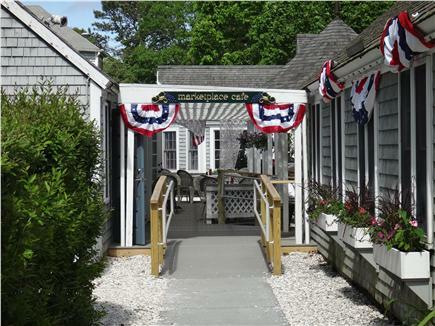 Short walk to Popponesset Marketplace for food, drink, and fun! Contact: Melanie - leave a message, I'll call ya back! Enjoy your vacation at this great Drop-and-Go location! 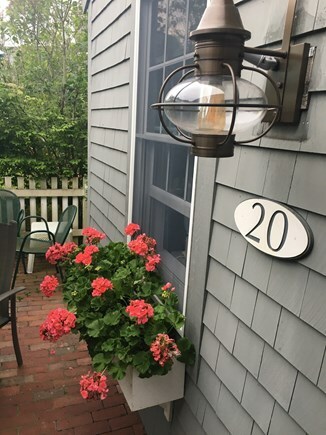 Our sunny 2 bedroom 2 full bath condo has private brick patios front and back, is only steps from the private Maushop Village Beach, a short walk to Popponesset Marketplace and Popponesset Inn, and minutes by car to Mashpee Commons. 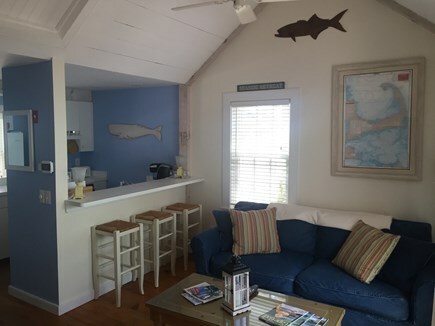 The condo features a sunny open-living area with cable, internet/wi-fi and local phone. 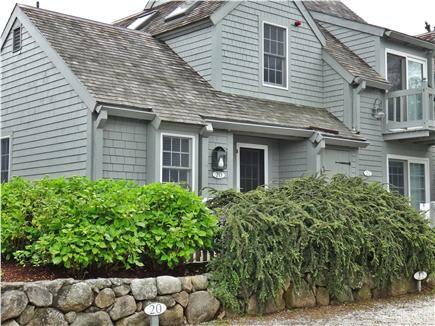 Sleeps six including a Master Bedroom on the first floor with a Queen bed, a Queen Sleep Sofa in the living room, and two twins in the second floor suite with a Full Bath. 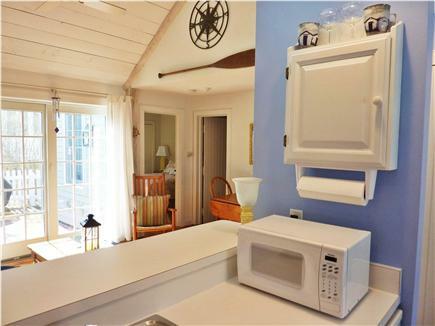 The kitchen has a Keurig coffee maker, dishwasher, microwave, and even a washer and dryer! Weber grill for your you too! 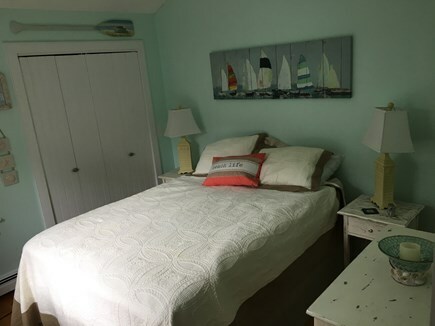 Sheets, towels (bath and beach! ), beach chairs and cooler are also provided. Ready and just waiting for you! All newly painted in 2017. This condo is on floors 1 and 2 of 2. Additional pricing info: Security Deposit $300 Cleaning Fee $100 July 1st - September 8th 7 day minimum, State and local taxes of 12.45% will apply. About Melanie - leave a message, I'll call ya back!